1 advisory board comprising members from outside the Pays de la Loire region (3 scientists, 1 university lecturer or professor and 1 representative of a TTO or a BIC. Réjane BIHAN is the Bioregate Executive Director, she drives the network strategy and its implementation with the support of the scientific director. Holding a PhD in Genetics and developmental biology complemented by a MBA, she has worked for more than 10 years in health biotechnologies innovation. She participated in the setting up of R&D collaborative projects, of structuring projects to strengthen regional specialized economic sector and initiated a start up company creation. She experienced research, education & training, innovation policies in an international framework as well as their implementation. Frank Boury, PharmD, obtained his PhD degree at the University of Paris XI in 1995 awarded by a fellowship from GTRV (Thematic group of research on vectors) and by APGI (Industrial pharmaceutical technologies association). He belongs to the GLIAD team “Design and Application of Innovative Local treatments in Glioblastoma” in Nantes-Angers Research Center for cancerology and immunology (CRCINA, UMR INSERM U1232). He teaches formulation sciences and biophysics at the ISTIA+ School of Engineering (University of Angers). Since 2008, he has been also the deputy director of the doctoral school in Biology & Health of Nantes and Angers Universities and the director of the M.Sc. “Innovative technologies in formulation”. Since 2011 he has been the coordinator of an “Erasmus Mundus Joint Doctorate” European program, named “NanoFar” – “Nanomedicine and Pharmaceutical Innovation” (6 partners, 6 M€, 47 international PhD students involved). He has been the principal investigator of several national (for example “Calcomed” project, funded by the French National Research Agency) and partner of regional projects (such as “Bioregos”, “Matières”…) and of several industrial projects. He is the author of 92 scientific publications and was invited speaker in more than 100 international conferences. He organized international summer schools in the field of nanomedicine in collaboration with many academic and industrial partners. He is particularly interested in Supercritical Fluid Technologies (SCF) and developed a platform aiming at developing nano-micro medicines for the controlled release of protein and fragile molecules. Since 2013, Frank Boury is also chair of the working group “education & training” of the European Technology Platform of Nanomedicine (ETPN) and member of the Executive Board of ETPN. He is also member of Pays de la Loire Region advisory committee for research and technological development. 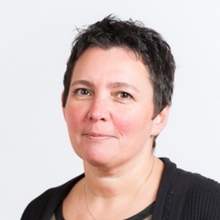 Ghislaine DUISIT is member of Bioregate executive board, in charge of innovation. Graduated from a prestigious university and holding a PhD in Biology, she had been working for 15 years as a researcher, mainly on cancer- and virus-mediated regulation of the cell cycle. In 2012, she turned to the field of the exploitation of research results by joining Atlanpole, a regional structure dedicated to the innovation support through both venture creation and open innovation. Noteworthy, Ghislaine supervised the FP7-funded program “Tissue Engineering and Regenerative Medicine” (TERM) that gathered altogether eight European clusters working in that biomedical area. Franck HALARY is member of Bioregate executive board, in charge of translational research. 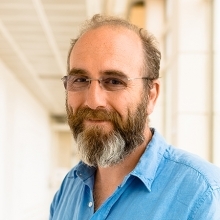 Franck Halary and his research group are interested in understanding how dendritic cells, known to orchestrate the immune response, can participate in the in situ capture and spreading of transplant-related viruses, the human cytomegalovirus and the BK polyomavirus. His work mainly relies on the use of cellular models and cells isolated from human tissues. More recently, in collaboration with the “Ecole Centrale de Nantes”, he started to implement 3D bioprinting as a way to fabricate biologically-relevant humanized tissues/organs for basic research and eventually replace disabled functions/organs in grafted patients. 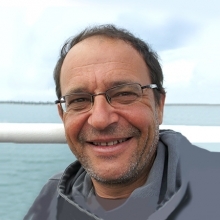 Franck Halary is an associate professor at the “Centre de Recherche en Transplantation et immunologie” (CRTI, Nantes). Pierre Weiss (PhD, DDS) is the Bioregate scientific director. He received his dental doctorate in 1989 and his PhD in Biomaterial in 1997. He is Professor in biomaterials in Nantes University and Hospital. Until 2016, he was the head of the INSERM – Nantes University “Osteoarticular and dental tissue engineering” laboratory, now called “RmeS”. Still in this lab, he is now the head of the “REGOS” team. His scientific activities are skeletal tissue engineering, physico chemistry in hydrophilic polymer to make hydrogels for synthetic extra cellular matrix and bone substitutes. His research interests include the chemistry and characterization of macromolecular solution and hydrogels to prepare synthetic extracellular matrices for tissue engineering of cartilage and bone. His scientific skills is on macromolecular chemistry and characterization like FTIR, Rheology, mechanical experiments and material design with nano particles blended with viscous solution before injection and cross linking into a 3 dimensional scaffold with alive cells encapsulated inside the structure. He also managed clinical research in odontology. He is also the president of the society for biohydrogels, the vice dean of the Nantes dental school and in the scientific council of Nantes University. 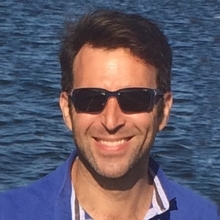 Maxime Mahe is a member of the Bioregate executive board. 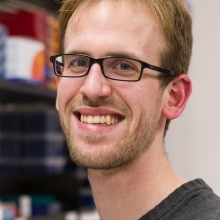 Maxime Mahe’s research program seeks to investigate the molecular and cellular mechanisms underlying the effects of the enteric nervous system on human intestinal development. To address this, he is working to create integrated human gut models derived from embryonic stem cells and inducible pluripotent stem cells. Achieving this research goal will extend our knowledge on gastrointestinal pathophysiology and regenerative medicine. Dr. Mahe is currently a junior research associate at the INSERM UMR 1235 in Nantes and holds an adjunct assistant professor position in the division of Pediatric General and Thoracic Surgery at Cincinnati Children’s Hospital Medical Center (CCHMC), USA.